Suzuki DR650 build for RTW. 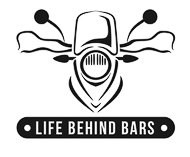 The best tent for motorcycle travel? FAQ – most asked questions to us. Have your people call our people. It took a few weeks of moaning, well strong words were used too, before we figured out how the coffee culture in Peru works. 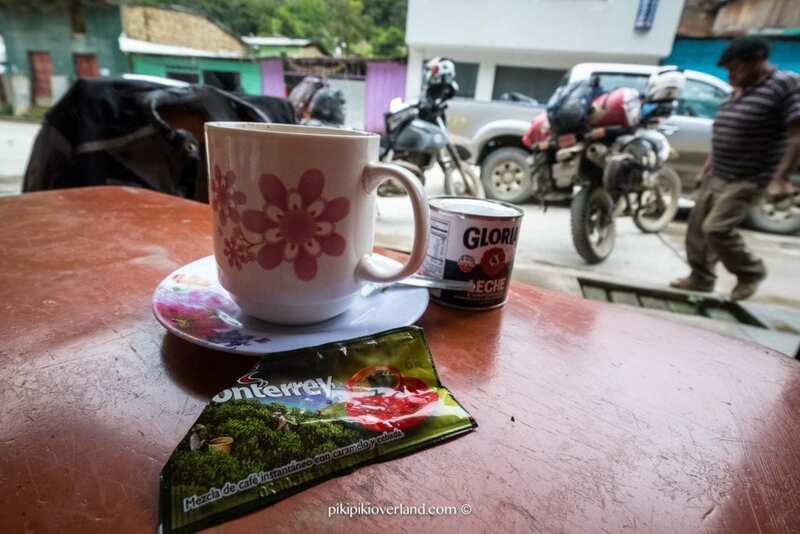 Arriving from neighbouring country, Ecuador and spending about 6 months in Colombia prior to that, the instant coffee given to us when we ordered coffee in general was more than just a disappointment it was an insult to the coffee culture. Especially if taken into account that the media claims Peruvians to produce the best organic coffee in the world. If you like a dash of milk with your coffee, especially if the quality is not very kind to the pallet, be warned, fresh milk (leche fresca) is as hard to come by as a good block of aged cheese. 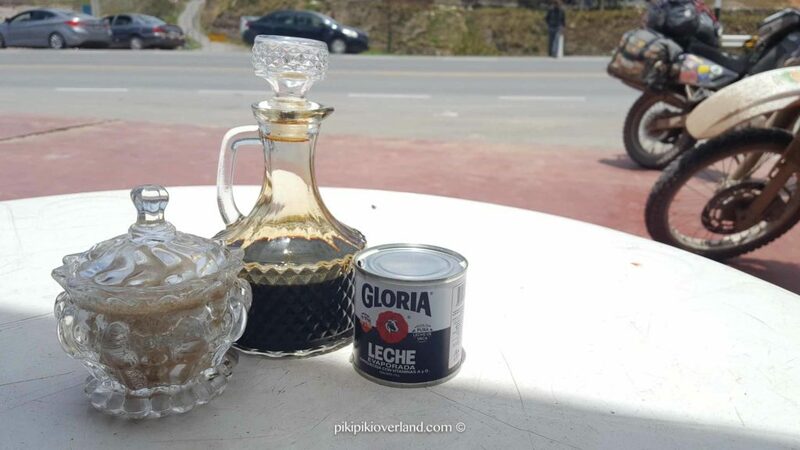 In Peru the milk has no glory, its ‘Gloria’ evaporated or the ‘long-life’ version, if you really lucky in some small town a shopkeeper owning a cow or two will take pity on you. But do not get dishearten and change your travel plans, there is a solution! You just need to learn how to order correctly! Café – At your table will arrive boiled water (normally in a mug) accompanied by a jar or sachet of instant coffee and sugar. If you ask for milk you will get Gloria, I kid you not. You will most likely have to pay for the cost of the small tin. Pasado – Now this is the Peruvian filtered coffee and can be really good if the brewer knew what they were doing. Pasado is basically a very strong extraction of coffee. So instead of getting instant coffee with your boiled water, you get a carafe of cold coffee extraction that you add to the water to your taste. Be careful though start with a small amount and build up with more if needed as the strength will differ from brewer to brewer. Below is the two popular ways we found Pasado brewed so far. Add in a jar a cup of ground coffee and two cups of cold water. Preferably use a jar that seals as it is preferable to shake it a few times to get the best value out of the beans. Let it ‘brew’ for 12 hours, shaking/stirring it a few times. Pour through a sift and place in an easy pouring container, preferably one that can seal to preserve it. The idea is to get the boiling water to very slowly steep through the coffee. The concentrate is achieved by using about ¾ cup of coffee to ¾ to 1 cup of water, but it is for you to play around with till you find your preferred brew quality. In Peru they use a “La Cafetera” which is a metal cup with holes that fit over another holder. You do not need a paper filter with this. But, you could use a normal coffee filter holder that you use over a cup/mug. Alternatively, use the inside basket and a paper filter that you use in your coffee filter machine but make sure you have a container it will fit in without toppling over. I used a portable filter that fits over a normal size mug. Place the coffee in the filter and add just enough water to cover the coffee. Leave for about a minute for the coffee to expand. Now add the water little by little so it steeps through very slowly to let it extract as much flavours as possible. If you feel the water passed too quickly it might be that the coffee are too coarse or the filter hole too big. Try passing the water/extract through twice. Store in a carafe/bottle that can close to keep it fresh. I think I might be loving the idea of having Pasado at my fingertips. It ensures a ‘fresh’ cup of coffee every time by just boiling water. You also do not get the ‘burned’ coffee taste of the second or third helping out of a filter coffee machine. And not to mention saving a lot of hassle to keep coffee warm or having to heat it up again. 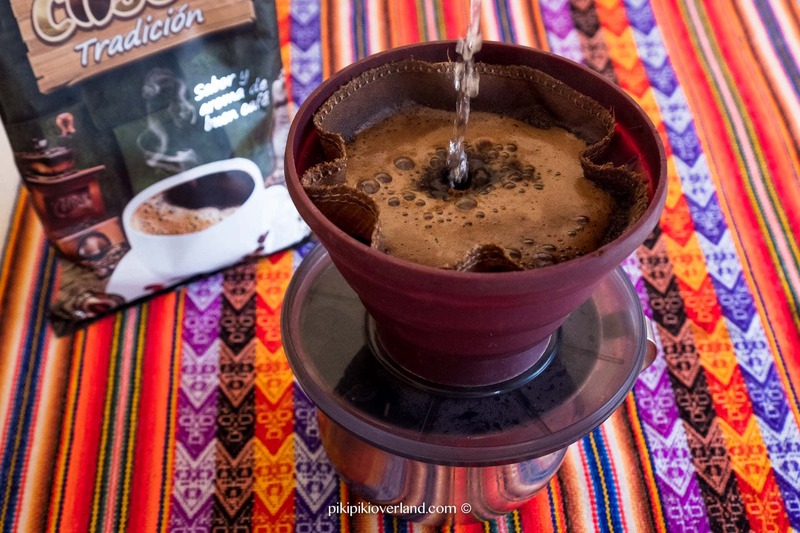 Enjoy the next cup of coffee Peruvian style! Hi! I was just in Peru/Cusco and had their traditional coffee when we camped and loved it. I tried to find a brewer like the one shown in your picture with the bag of adventure blend coffee. Any ideas where I could find on online? Obsessed with it now! 🙂 Thanks in advance. Hi Rob, unfortunately I don’t know. We were also looking for one when in Lima and Cusco and could not find. But seems inland in the small towns you might actually get some. Even online we could not find any. HAVE YOUR PEOPLE MAIL OUR PEOPLE. 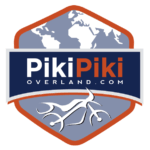 Copyright © 2018 — PikiPiki Overland. All rights reserved. Reproduction in whole or in part without permission is prohibited.